Ever worrying about the safety of your home on vacation? Why not be able to check on it form a few taps on your phone and be completely reassured so you can enjoy your peace while you’re away? This is just one of the many benefits on Elan’s new Home Systems. Be able to login to your system from any of your mobile devices or a computer no matter where you are. 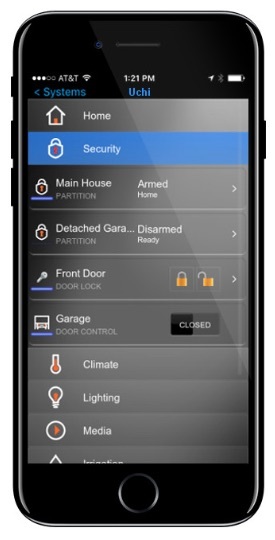 Elan Home System will turn off the lights, ensure the garage is closed, doors are locked, and your security system is activated. More of the unique capabilities of the Elan Home System is its benefits it can bring to your environment and economy, inside, and outside your home. They have the ability to control your pool pumps, lighting and covers if you desire. Also be able to set up schedules for your lawns irrigation system to conserve on water from an all in one solution. Ever worry about a fire or your smoke alarm triggered? Elan Home System will immediately shut down your HVAC system, which will minimize the spread of smoke if there happens to be a fire. At the same time it will be notifying emergency response services while internal and external pathways are lit to help your family exit quickly. Elan Home Systems also makes connections and links a breeze to the point you can even link multiple Elan homes. With a single, elegant interface across all devices, Elan integrates with security cameras to deliver a full view of your surroundings as make it possible to have a two-way conversation. This can help you monitor a baby in the next room, allow a plumber or friend into your home while not there, or deal with a triggered sensor light outside. Experience complete control, convenience, and peace of mind whether you’re at home, at work, or on the go. Not enough space? No problem. In case you’re still wondering where the projector is in this picture, it’s the white box next to the wall, just under the image. This new tech is so amazing that it is hard to believe until you see it for yourself. 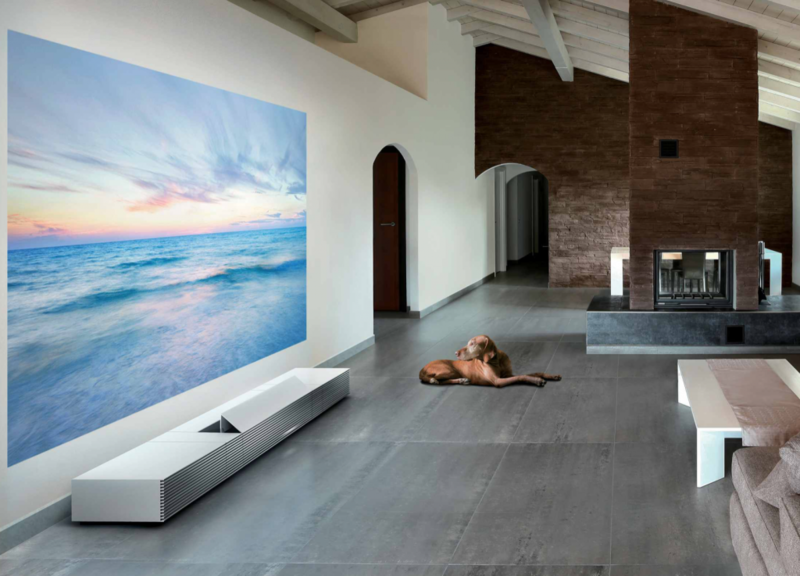 These units can project a 100″ image from less than 24 inches away with perfect clarity, so no worries if you don’t have a room with the length for a traditional projector. What was once a very limited market, these new short throw projectors are being offered by multiple manufacturers and in many different models now. Thanks to all these new models, the price of these projectors has gone down tremendously while the performance has not. Short throw projectors are still capable of 3D, 4K and doing 3D while in 4k in such a short distance! Not only are they capable of it, they do it in style. Short throw projectors are sleek, small and really help to clean up the aesthetics of a room over a traditional projector hanging from the ceiling. 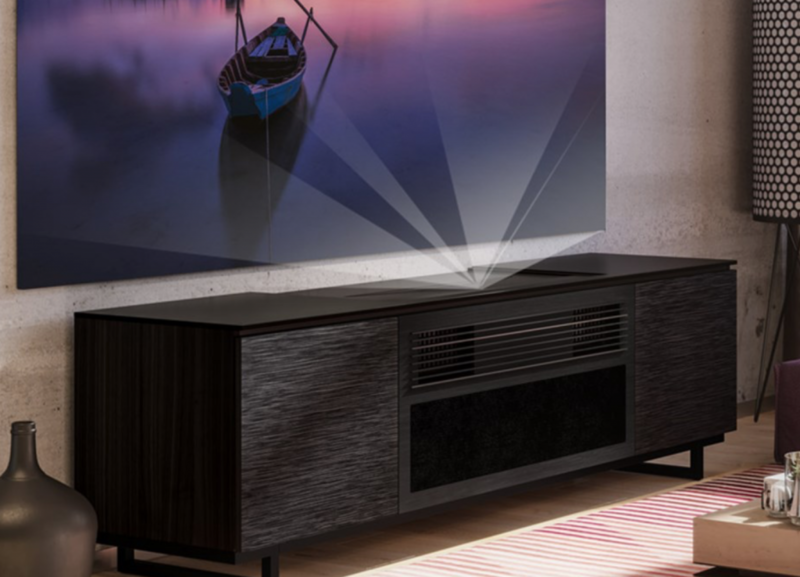 Shown above is a Salamander Designs Credenza that, thanks to a partnership with Sony, was designed specifically for short throw projector applications. These could go in a room that you would traditionally put a TV and can be much more pleasing to the eye. It will provide a much larger picture and you won’t be staring at a blank TV on the wall when it is turned off. 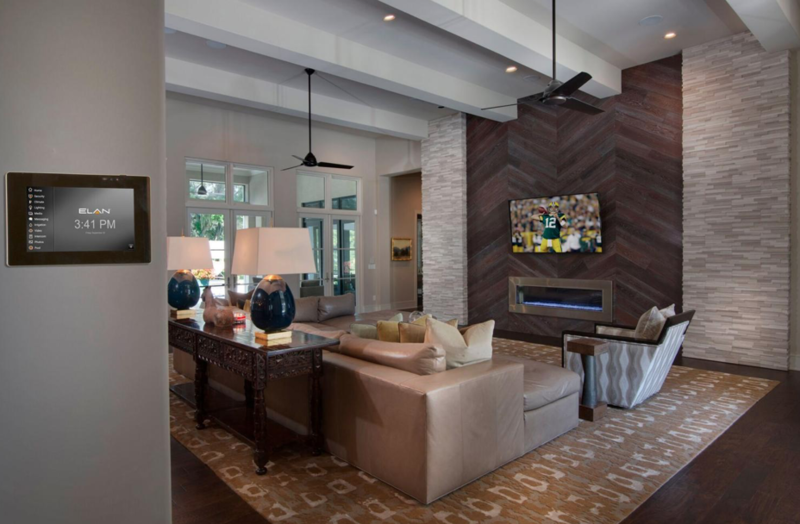 Some of these short throws have speakers built in, as well as cabinet space, to help unclutter your entertainment system and provide an all in one solution for the room. 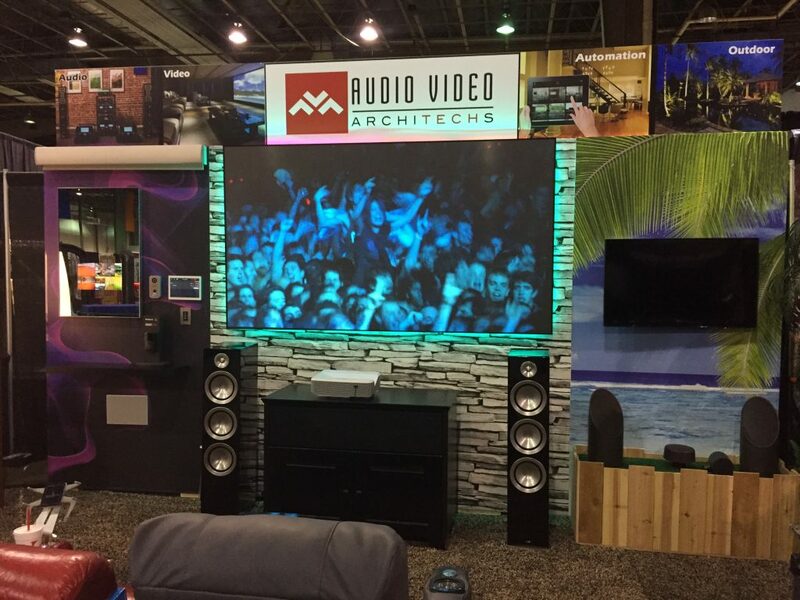 Seen above is an Optoma short throw on a 110″ screen at a trade show in a convention center with commercial lighting directly above it. While the image on the screen is only blurry because of the timing of the pic with the concert recording that was playing, the brightness is very impressive considering the lighting that it was having to compete with. Short throw projectors in the end are a new answer to what used to be unsolvable scenarios and a way to change up traditional solutions of the past. That’s right, how would you like your next outdoor lighting and sound pieces to be made of solid brass and have lifetime warranties? If you said yes, then the products from Coastal Source are for you. 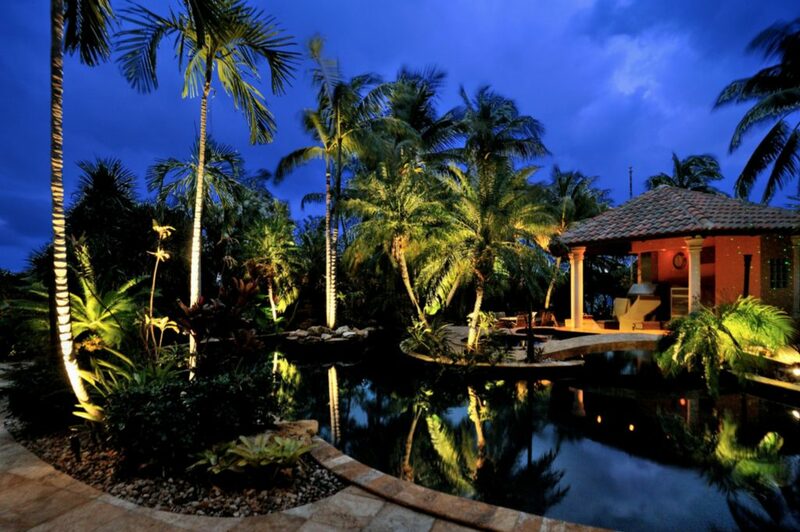 All of Coastal Sources outdoor lighting pieces are hewn from solid brass and machined to the highest fit and finish levels you have ever experienced for landscape lighting. Not only are they exceptionally made, they are exceptionally well thought out. They have their own proprietary connectors for the wiring that all snaps and screws together with the slightest of ease. Of course they are multiple different bulbs that you can choose for your fixtures that are also just as easily changed in and out. And don’t worry about not being able to find the right fixture aesthetically for your application, their catalog of products and fixtures is almost endless and there are lots of finishes to choose from for them. Coastal Source doesn’t stop at just lighting either. 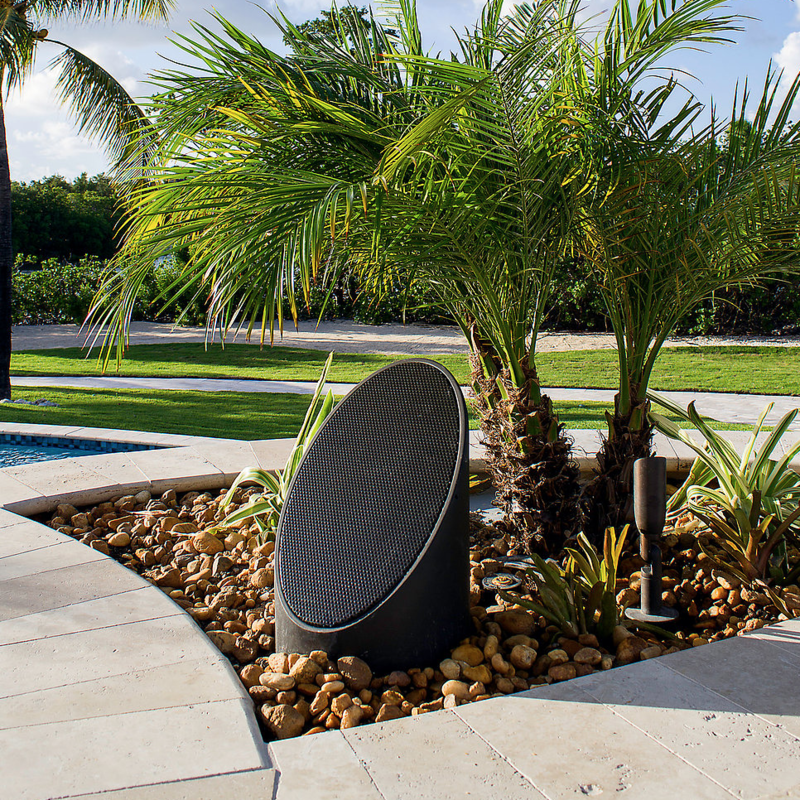 They also offer high end outdoor audio equipment as well that is just as durable. These speakers are also extremely aesthetically pleasing coming in different finishes and shapes like the lighting products. They offer ellipses, bullets, rocks and cylinder subs to name a few. One of these things is not like the other, can you spot the difference? Can’t tell? 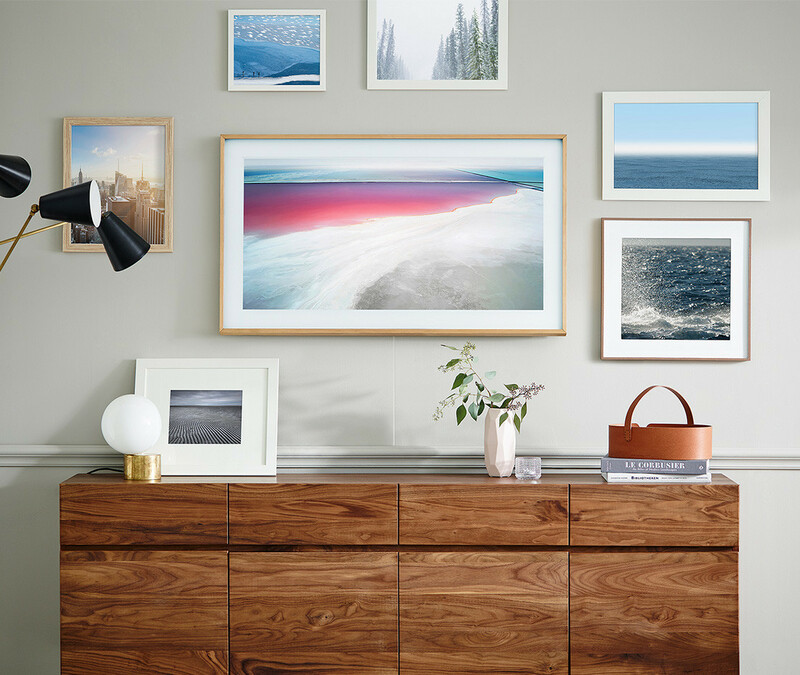 Neither will your guests or possibly even you most of the time, but that large Picture dead center is the Samsung’s newest offering, The Frame. 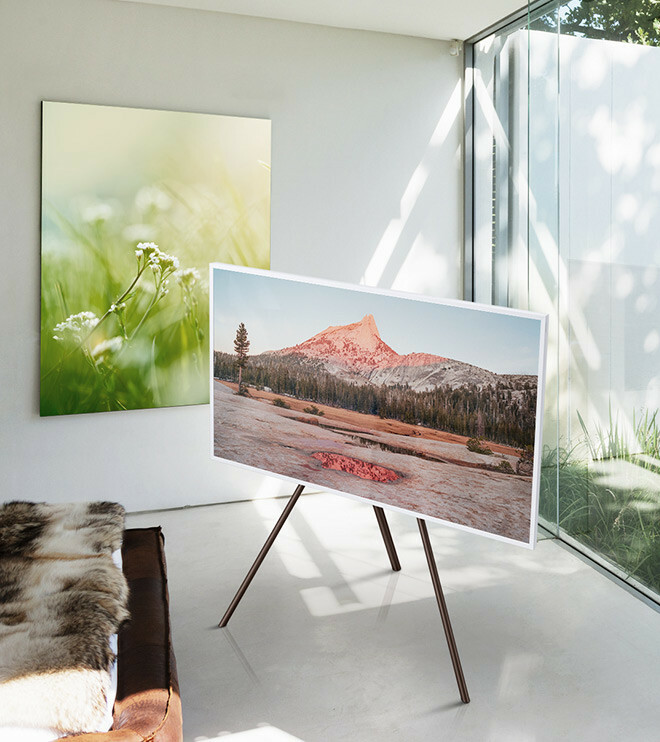 The Frame is just as the name describes, it is a 4K picture frame TV. 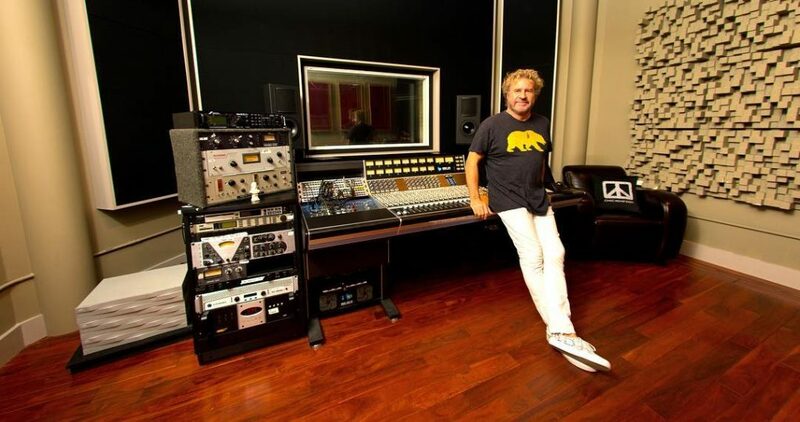 Currently it only comes in a 55″ or 65″ size, and in white, beige wood or walnut finishes. In the picture above we see the TV in one of its brand new and signature features known as Art Mode. While this mode may seem slightly self explanatory a couple things should be noted. One, the screen on the TV is actually the entire area inside the wooden border, not just inside the white border. The white border is generated during the Art Mode to give it an even more realistic appearance. Two, the Art Mode is preloaded with images from Samsung and will automatically update itself with new images over time, similar to Apple TV’s screensaver videos it plays when it times out.